LOS ANGELES — Utilizing science in coaching is becoming more important than ever. In the sport of baseball, sensors can track numerous body movements, bat paths and the like. Sophisticated computers can also show the bio-mechanics of hitting or pitching with precision. Video analysis and statistics are highly sophisticated. 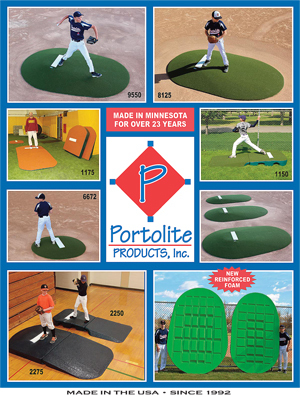 A special pitching machine can even be programmed to throw a series of different pitches which was developed by a former Boeing engineer who previously designed flight simulators for F-15s and Apache helicopters. 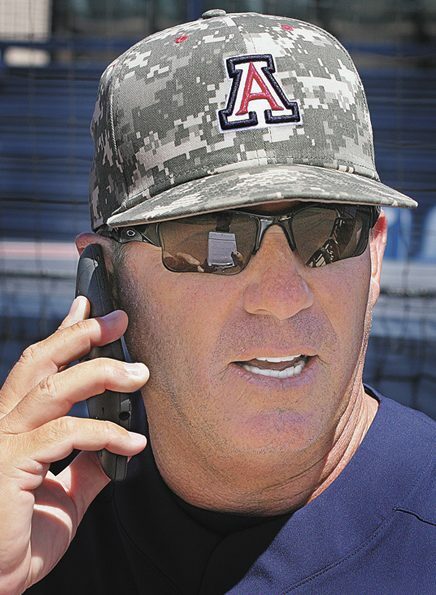 Collegiate Baseball felt it was time to search for an elite coach who bases his teaching on science. We asked over 50 coaches in the sports of baseball, football and basketball to recommend a coach who fits this mold. 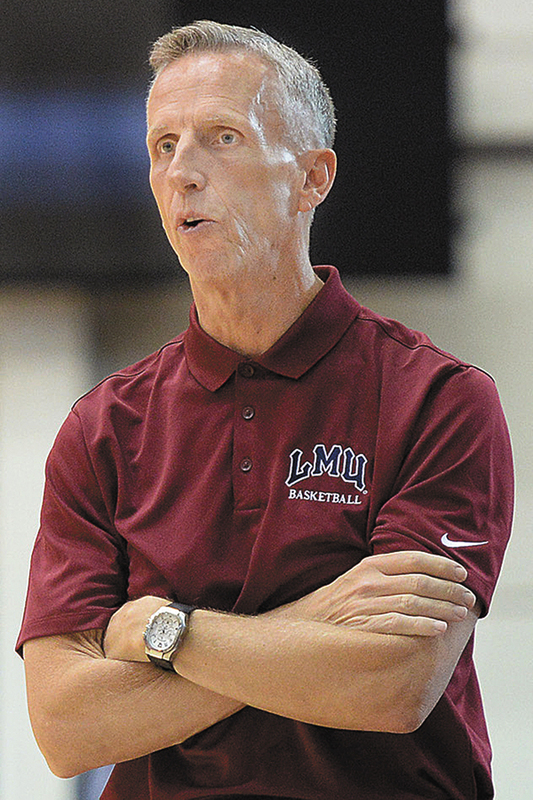 One name came up more than any other, and that is Loyola Marymount head basketball coach Mike Dunlap. 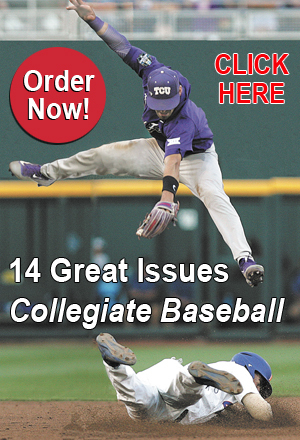 Collegiate Baseball rarely runs stories about basketball coaches. Only one time previously in the 60 year existence of our newspaper have we done so, and it was on John Wooden, Hall of Fame coach at UCLA who shared an office with then Bruin baseball coach Gary Adams. Dunlap’s coaching philosophy is so riveting that it will help every baseball coach in the business. The 60-year-old has been coaching basketball for the past 37 years and was previously the head coach of the Charlotte Bobcats in the NBA, an assistant with the Denver Nuggets and associate head coach at the University of Arizona and Oregon. He also won two NCAA Division II national champions at Metropolitan State College. Dunlap has always had a thirst to learn everything he can about the physical and mental aspects of basketball and reads everything he can to become a better scientific based teacher of the game. What few people know is that he was born and raised in Fairbanks, Alaska and was a superb third baseman. He was so talented that he played for the fabled Alaska Goldpanners in the Alaska League. His baseball career ended at that point as he devoted his time to basketball. Dunlap was an innovator 20 years ago when he started using heart rate monitor straps worn around his players’ chests. According to a study performed by the American College of Cardiology, this type of heart rate monitor is superior to the wristwatch-style tracker as it provides 99.6 percent accuracy. He wanted to find out how far each player could go before fatigue set in which resulted in performance declines. Then he could rest these exhausted players before putting them back in. In addition, he wanted to find out who could be pushed harder. His teams are known for having tenacious defensive players who deflect and steal balls every game which has led to many wins, including two national championships. “I became a scientific based coach probably because of people like John Wooden and other superb coaches in sports who could get their players to reach higher levels than expected on a regular basis,” said Dunlap. “Football coaches organize their practices better than anybody else because they are dealing with large numbers of players and must do this out of necessity. 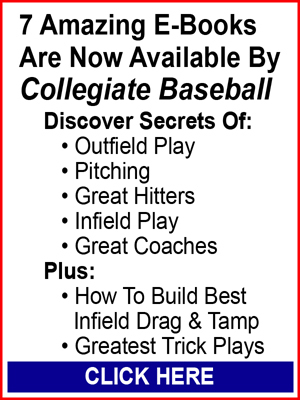 “I have studied baseball coaches over the years for hand-eye coordination and also their language of triggers. If you can say a lot with one word or an acronym or a power phrase, you can transfer that over to basketball easily. Dunlap said the heart rate monitor for his players has been important for many years. This technology is utilized by a handful of baseball coaches for different purposes. It may help identify which pitchers may be ideal for the closer role on a team because of the high stress they usually endure. A blood pressure monitor may also be helpful. Fred Corral, pitching coach at the University of Missouri, has utilized heart rate monitors with pitchers for years going back to his days as a pitching coach at the University of Memphis. Most bullpen sessions are like a vacation. Corral has run his pitchers just before throwing a bullpen or in an intersquad game to closely simulate the game heart rate of a hurler. He also has verbally gone after a pitcher in practice with the heart rate monitor on to get the player’s heart rate close to game conditions. This marvelous coach would explained to pitchers why he was yelling at them after their outing was over so they wouldn’t think he had gone mad. “You are how you think and you are what you do,” said Dunlap. “If we were to improve the focus of a relief pitcher by the time he gets out on the mound, wouldn’t he perform better? “The best runners in the world are working off heart monitors, and you can find stories in Runner’s World about this. They know when they are maxing themselves out or doing interval work. Their heart rate has to go to a certain zone in order for them to say their work is moving them one inch toward breaking a plateau and becoming better. “Unless I can get these intervals staggered this way, there is no way I am going to tee it up and be able to be one second better. The math shows this. Now I’m trying to move myself out of my comfort zone through specific science. “As a college basketball coach, utilizing heart monitors allows me vital feedback. Let’s say one of my top players has just finished running suicides on our court. In looking at the data of the heart rate monitor, I can tell this young man that he didn’t put out and had another level inside. “I would tell him that it showed that he had a 159 heart rate, and he was sandbagging his running. We will allow you to recover with a heart rate of 130. Then you will get another chance to go all-out with another suicide. “When you look at world class coaches who are behind cyclists, they are tracking heart rates. “In Formula 1 racing, they know the science of what those engines are doing and the readouts they are seeing. They know if drivers are gutless or not going into the third corner or if there is an engine problem. They also know if they are tapped out in their RPM. Dunlap said that the psychology element in basketball, baseball and football should be 3:1 to the techniques that are taught. After all, so many games are lost by athletes who are not mentally tough enough to execute in pressure packed situations. Those athletes who are ready to perform at a high level in high stress situations are coveted by coaches. “World renowned sports psychologist Ken Ravizza has been utilized by a number of great coaches across sports. Just look at baseball alone. He has worked with some great coaches at Cal. St. Fullerton, including George Horton, Dave Snow, Augie Garrido, among others. To read more of this article, purchase the Sept. 1, 2017 edition of Collegiate Baseball or subscribe by CLICKING HERE. The story delves into why learning the mental game is so vital for athletes, how pitchers, position players and hitters can transition into games better, the value of analytics in baseball, the importance of player peer pressure in the team setting and why the pace of practices are vital. Plus, Dunlap delves into the value of having fun, why it is crucial to focus on only two or three things in practices and why it is important to study the teaching masters in society. Plus, he explains why attention to detail is an area crucial to the best coaches in any sport. BIRMINGHAM, Ala. — The Southeastern Conference will be allowed to utilize wireless communication on an experimental basis from a coach in the dugout to the catcher only during league games in 2018. Approved by the NCAA Baseball Rules Committee and adopted by the NCAA Rules Oversight Committee, this experimental rule will allow a catcher to wear an ear piece which will link up with a wireless device that the pitching coach can speak into. The coach will tell the catcher what pitch to throw and what location. Herb Vincent, associate commissioner and baseball administrator with the SEC, said the system they are putting into place only allows one way communication. “While the coach can talk to the catcher, the catcher can’t talk to the coach over this wireless communication system,” said Vincent. “The company we are working with has a device that will fit in the ear of the catcher independent of the catcher’s face mask. Another device will be strapped behind the catcher’s back. 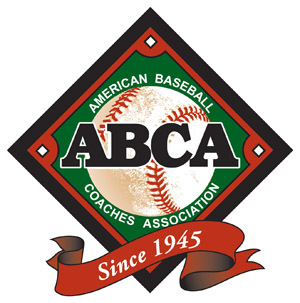 Vincent said that the SEC has been assured by the company which manufacturers these devices that opponents will not be able to listen in on the wireless communications by a coach to his catcher. However, there are several companies on the internet which offer services to do precisely this. In many states, illegally intercepting a wireless call without the consent of that party is a civil and possibly criminal activity. Whether any school would ever prosecute a person illegally intercepting calls is yet to be determined. The SEC has teams in 11 different states, and every state’s law is different in regard to illegally listening to wireless calls. Collegiate Baseball contacted the University of Florida Law School to find out what Florida law would be in play if a coach intercepts such wireless calls and if he would be prosecuted. “It is against the law to intercept communications,” said Bob Dekle, a legal skills professor who is Director of the Criminal Prosecution Clinic at the University of Florida. Dekle said that different situations involved in illegally intercepting communications warrant quicker responses such as potential terrorists or people trying to cause harm to others. Baseball doesn’t fall into that category. To read more of this story, purchase the Sept. 1, 2017 edition or subscribe by CLICKING HERE.